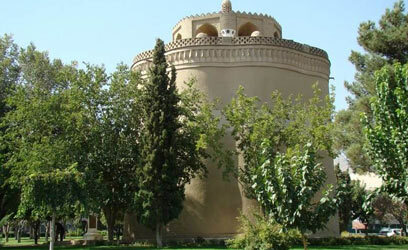 Vank Cathedral is located in Kelisa Alley-Nazar-e Sharqi Street. This street is a part of the Armenian district of Isfahan, Jolfa. In 1606, it used to be only a prayer hall. Then, in 1655, it was renovated to Vank Cathedral with its high double layer dome. The numbers of these two years are inscribed on a tile work on top of church’s gate. 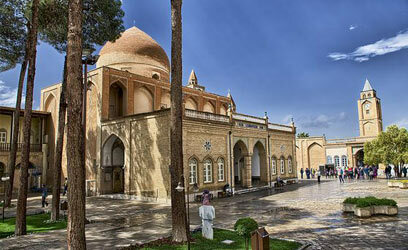 The oldest church in Iran is the Surp Sarkis Mother Cathedral in Tehran. Among the two famous churches, Bethlehem church is older than Vank cathedral in Isfahan. The Vank Cathedral is a masterpiece of architecture. 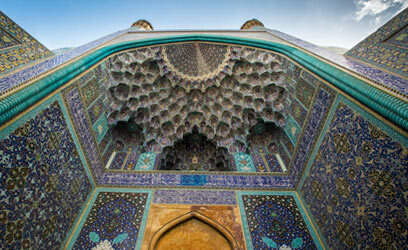 Construction of this cathedral started at the time of Shah Abbas the second. Vank Cathedral architecture is a combination of Iranian and Armenian architecture. That is why when you first arrive at this old church, you will see that this cathedral is the only one to be built with indigenous materials like clay and brick. Certainly, it is a way to show the mixed culture and the symbiont circle that stood for four more than 400 hundred years in Jolfa. The unique collections of beautiful frescos: they depict stories from the holy bible and Tora. 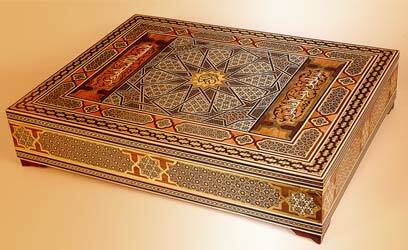 Armenian artists painted them during safavid era. The magnificent tile works with gild adornments. These characteristics are what make this Isfahan Armenian church different. Khajeh stepanusian paid for the most of the expenses of these glorious paintings. Vank cathedral paintings are bold and painted onto the walls with such precise lines. The two-story museum on the northern part of the courtyard contains exhibits of some of the earliest books ever printed with one of the first printing devices in Middle east. A short piece of hair, measuring only about 0.004-inch-thick, with written words on it in Armenian which is visible through a microscope. The symbolic April 24th memorial. There is a library with more than 10,000 books next to the museum. The gravestones in this Cathedral belong to priests, Russian and British consults, politicians, doctors, and people who contributed to the process of building and completing the church. You can find Vank Cathedral opening hours and entrance fee below.